A true membership site allows users to communicate with each other. It acts as a common platform for members to connect and share photos, music or blog posts. The WP ProfileGrid plugin allows users to build dynamic membership sites complete with multiple groups, and group wall. It helps users to create and share photo albums in WordPress from within the user profiles. This can make your site unique and its users more attached to their profiles. 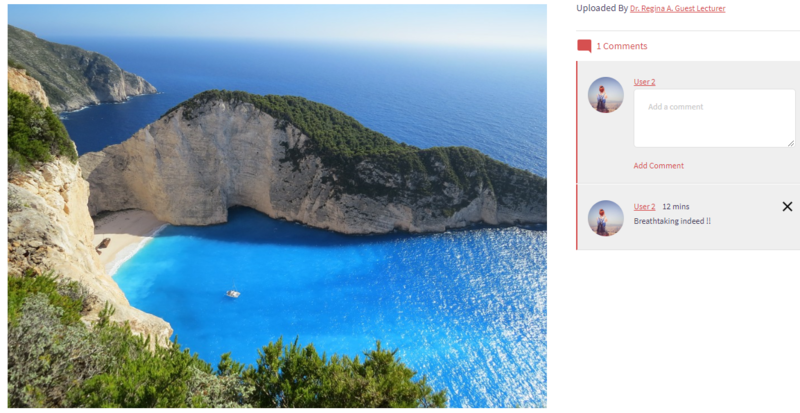 ProfileGrid offers the Group Photos Extension. It allows users to create and share photo albums in WordPress. So, let’s delve into this topic further and learn how to make your membership site more vibrant. ProfileGrid comes with a host of useful features like extensions and shortcodes. The Group Photos extension is part of its premium pack. There is an entire page dedicated to extensions in the PG Dashboard. From this page, we have to activate the Group Photos Extension to create and share photo albums in WordPress. Right after activation, the extension appears in ProfileGrid ‘Global Setting’. On clicking it, users will get a toggle to enable/disable Group Photos. Given below is an image of the Group Photos Settings page. This feature then gets added as ‘Group Photos’ to each group where group members can share photos. Group members can categorize their photos into albums. They can determine the privacy of these albums. They can decide whether to make them visible to all registered users or to group members only. 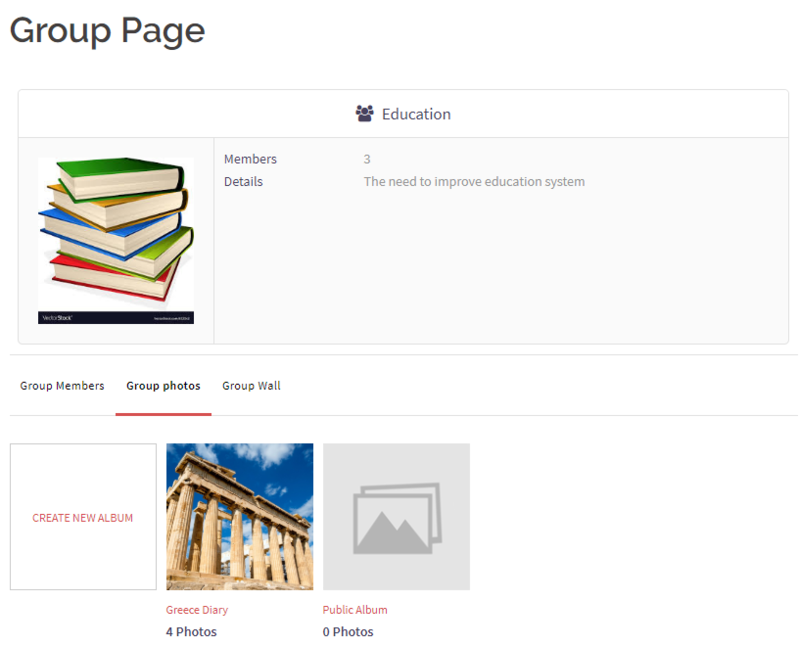 There’s another unique feature, any group member can upload photos into albums created by other group members. Also, any user from other groups as well can view the ‘Group Photos’ of another group. However, they can only comment on Public Album photos. A Group Leader can delete any photo album, photo or comment from his/her own Group. An album owner can delete/add or comment on any photo from his/her own album. He/she can also delete any comment from his/her photos. In this way your site becomes organic. ProfileGrid not only allows users to create and share photo albums in WordPress user groups. It tries to create an entire community on your site. There, users can create paid or unpaid groups. They can also maintain a business or personal directory. 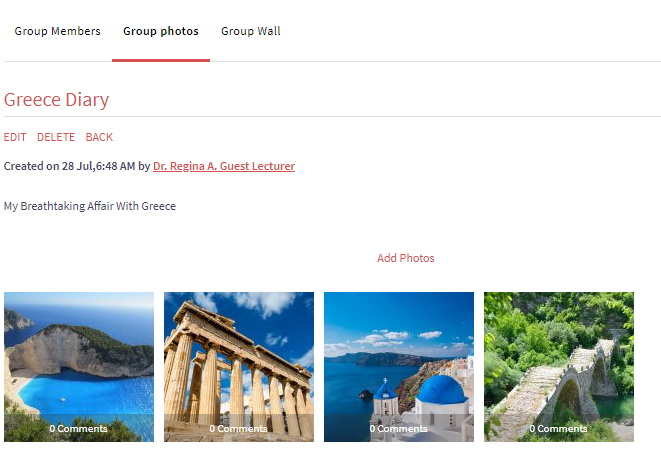 Moreover, the Group Wall and Group Photo extensions give the users a community feel. There they can have a common platform to communicate. Also, ProfileGrid enables added user engagement. It allows users to create frontend groups. When members of the same group communicate with each other, comment on each others’ photos they feel connected. You got power to bring the entire world inside your site. New ideas grow with new communities. When you build a global community, you add more value to your online platform. One can utilize this plugin to register students of an institution or employees in an organization. When members of an organization share a common platform it becomes easy to manage them. For example, any news or announcement can be made on the Group Wall. Photos from a school camp tour can be uploaded on ‘Group Photos’. It then becomes accessible for all the members. ProfileGrid is a plugin which truly defines user convenience. Users do not need third-party plugins in PG. 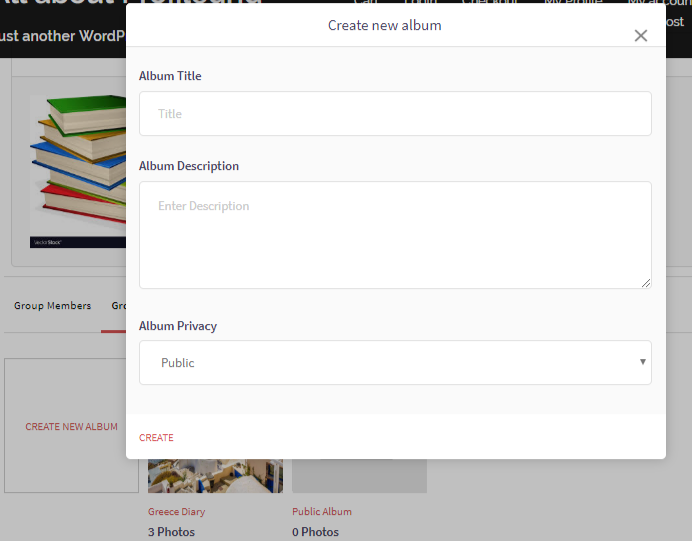 We could create and share photo albums in WordPress without even having to code. Moreover, the fact that users do not need to be pro coders, make this plugin even more popular. Now, the power to create efficient membership sites is in the hands of the common WordPress user. They can utilize these sites for professional or private purposes without having to take help from pro developers. Is there a way for users to add photo albums to their own profiles and not on a group wall? Unfortunately, as of now, ProfileGrid do not have the feature to add a photo album to profile. However, we have made note of this requirement and will review it for possible inclusion in the future release. I’d like to add that to the wish list. We have a group of artists that would love to have their own album to showcase individual work. Thank you for writing to us. Profile photos is a feature that is on our roadmap and we will introduce it in our plugin soon. On the banner for ProfileGrid, you show an image that is presumably the Profile Page for “Dan Kavanagh. The menu items are “About”, “Groups”, “Blogs”, “Friends”, “Photos”, “Notifications”, and “Messaging”. What is the Photos option in this menu? How is it created?